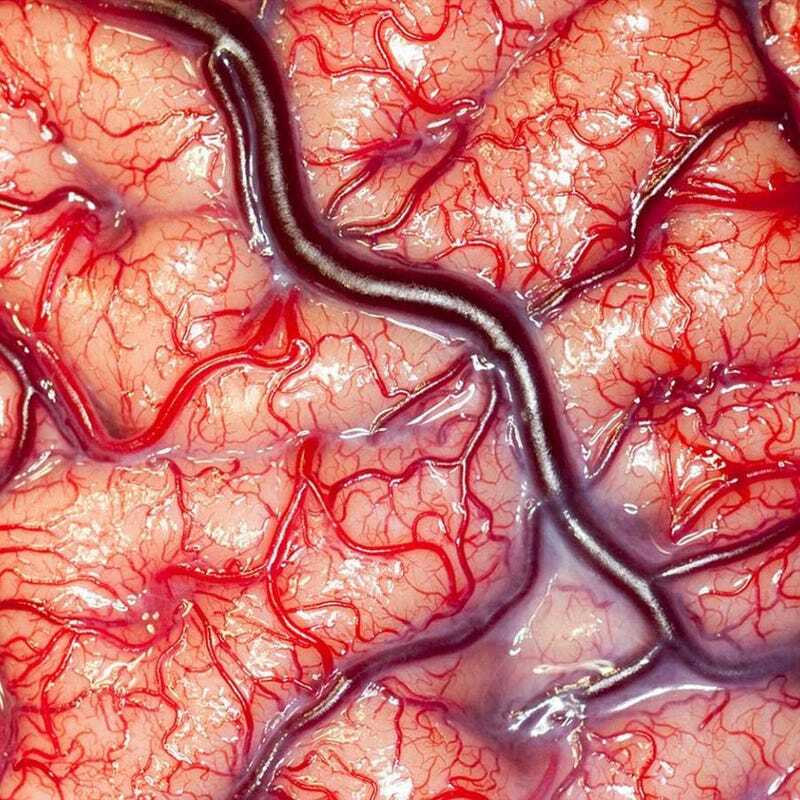 A living human brain. Looks gross. But think about how amazing this is. You have one of these things inside your head, a mass of organic matter in which billions of connections make you—every memory, everything that ever was in your life is inside this mass. So yes, it may look gross, but it's freaking amazing. The photo was taken Robert Ludlow—of the Institute of Neurology at UCL (University College London)—while a patient with epilepsy was being operated on. It won the Wellcome Image Award two years ago.